While shopping at Boscov's a few weekends ago, I spotted these cute Mini Cast Iron Pans . I can easily be talked into buying things that will make a statement when I'm entertaining. They were originally priced at $10 each, but were on clearance for 50% off, so I had to have a few. 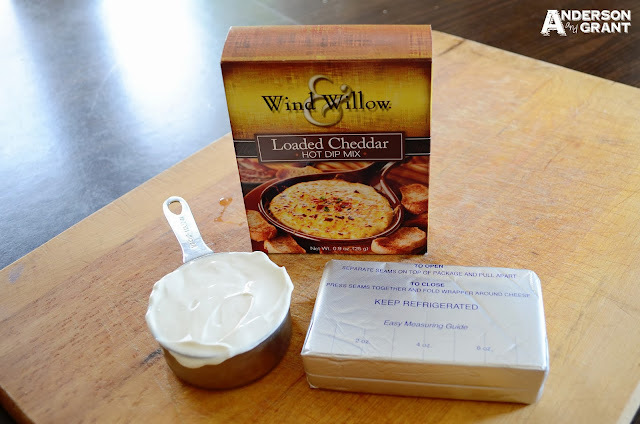 I purchased a box of Loaded Cheddar Hot Dip Mix that is produced by Wind & Willow. I've had it before and it tastes amazing on crackers, bread, pretzels, or even potato chips. It is served hot, so I thought this would be the perfect snack to serve to some guests in my new pots. 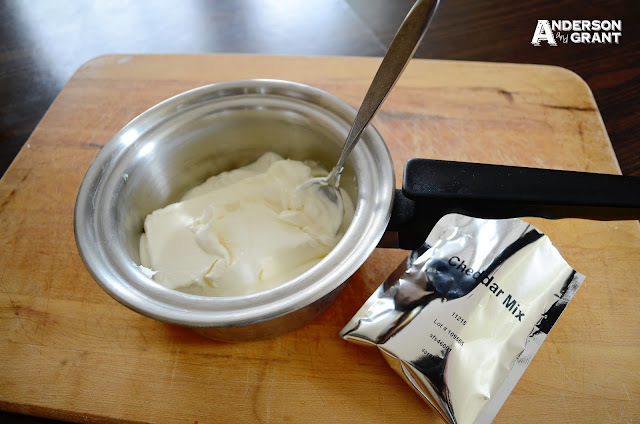 To make the dip, an 8 ounce block of cream cheese is mixed with 1/2 cup of sour cream. I cooked this together on the stove until the cream cheese was melted and then mixed in the cheddar mix. 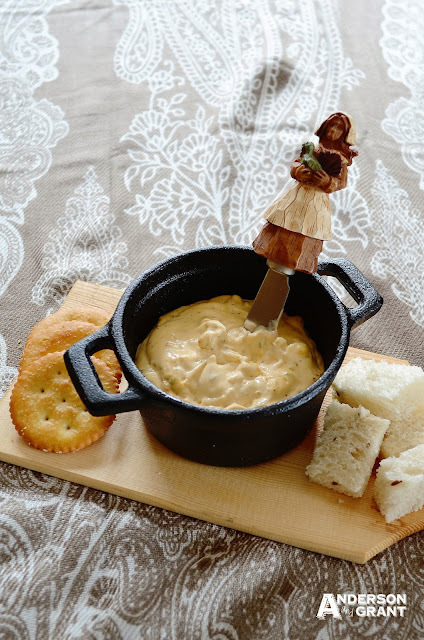 I like to do as much as possible before my guests arrive, so I cooked the dip ahead of time knowing that I could reheat it later on in the evening on the stove. I didn't want to put the warm dip in the cold cast iron pot, so I let the pots sit in a warm oven for a few minutes before putting the dip in. (Cast iron gets very hot. I didn't want the pots to get too warm and burn my guests, so that is why I warmed the dip on the stove.) 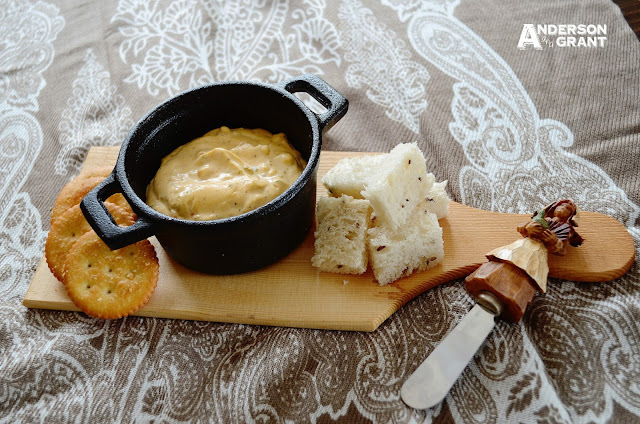 The warmed dip could also be topped with a little shredded cheese and browned in the oven. Since the pots would be coming out of the oven, I needed something to set each individual pot on for my guests. Last year, I got some mini cutting boards from AC Moore for about $1 each. 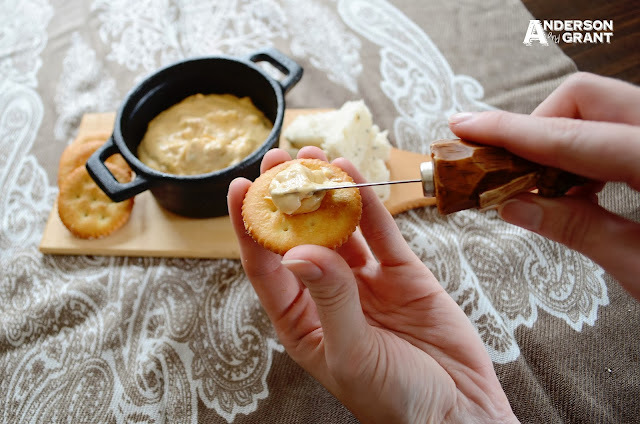 They are the perfect size to hold the cast iron pot and some crackers and cubes of rye bread for dipping. I also added an appetizer knife for each guest to use to spread the cheese.....of course I kept it seasonal by using pilgrim appetizer knives! 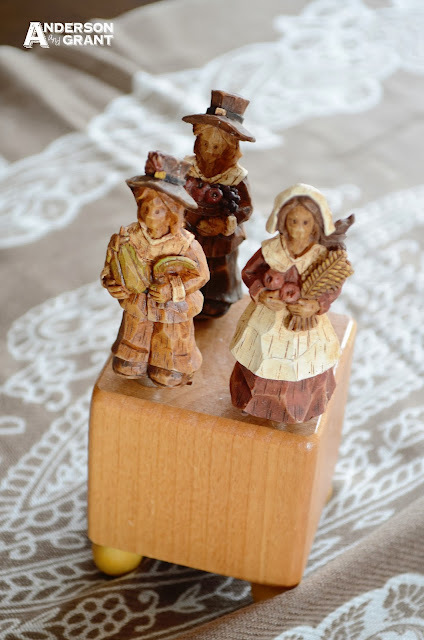 Aren't they great?!?! 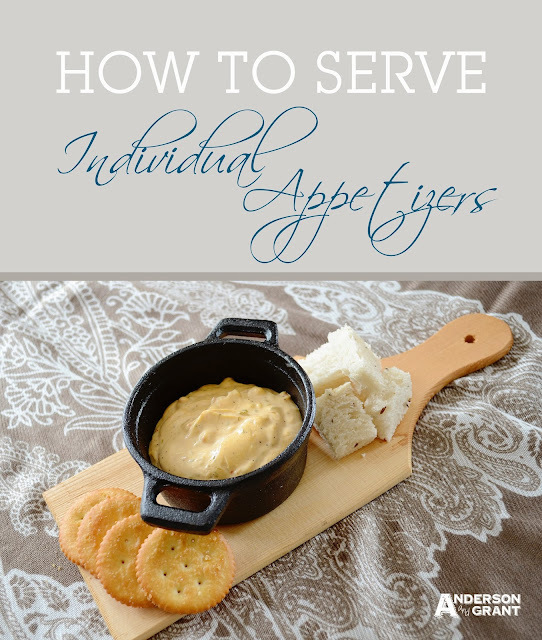 I love how this gives each guest their own individual snack...no need to pass or share!